My husband likes to joke that this Deep Sleep blend saved our marriage! He may be right! lolI am a very light sleeper...and he happens to snore "once in awhile." So, I need a little help with sleep now and then to help me get my Zzzzz's. There are many herbs you can use to help you get some restful sleep without waking up groggy and feeling half-baked the next day. This blend is one of my favorites, and I have been using it for several years now. This tincture is quite strong, so start off slow and build to where you need to be! It's easy to make, bottle, and use! If you or a family member have some trouble drifting off to sleep and have already tried other herbal remedies, this potion may do the trick for you! This recipe is based on Rosemary Gladstar's "Deep Sleep" blend. I've adapted the recipe a bit with amounts of herbs, otherwise it is essentially the same. 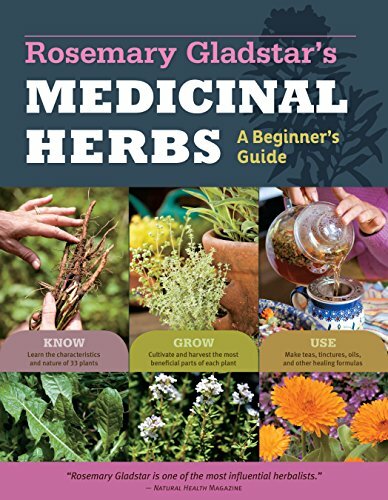 You can find her book, Medicinal Herbs for Beginners, which I cannot recommend enough, from Amazon. 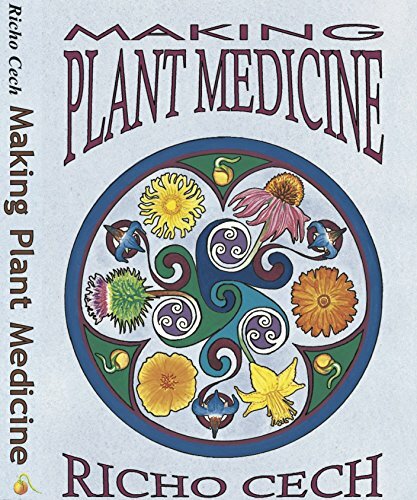 I wish I could express just how empowering it is to make your own plant medicine! When people tell me about all the medications they are taking, I just have to think to myself, "Thank goodness I can make my own!" AND....I know what my medicines are made of, where the plants come from, and possibly most important of all: They WORK! The other great thing about making your own plant medicine is that you have some leeway to play with the ingredients and find out what works best for YOU. I hope you enjoy this recipe for an herbal sleep aid! Although there are many many relaxant and sedative herbs out there (Passion Flower, Skullcap, Chamomile, Oat Straw...to name just a few), I love this particular combination I'm about to share with you. Hops and Lavender are gentle and tasty, while the Valerian tops the list as a sleep aid herbal powerhouse! If you'd like to read a great introduction article to find out more about What an Herbal Tincture Is and How to Make One, here you go! Affiliate Disclosure: There are affiliate links scattered throughout this article, mainly to Amazon. If you click through and make any kind of purchase, I may earn a small commission at no extra cost to you. Getting a great night's sleep is difficult for many people these days. If you are looking for a natural way to get a good night's sleep, here is my recipe and directions for how to make a natural, herbal sleep aid that works like a charm! Using Valerian, Hops, and Lavender, this sleep tincture works quickly to help you get your rest naturally. Valerian root is generally harvested in the fall, after the plant has fed the root through the spring and the summer. It's a pretty stinky root. Many people compare its scent to stinky feet or cheese. Personally, I find it very earthy and grounding, but yes, it can be smelly, especially if you spill some tincture like I did once. Whew! If you are trying to wean yourself off sleep aids, whether OTC or Rx, there is scientific evidence that Valerian Root is one of the best herbs for this. In fact, it was this formulation that helped me personally to stop using sleep aids. I now use my Deep Sleep only when I have to, and I haven't had to use anything else for years. Thank goodness! You can read about my journey from OTC/Rx to Plant Medicine HERE if you are interested. In addition to potentially helping with sleep disorders, Valerian is useful for soothing nerves and feelings of being over-stressed. It is a nervine herb and therefore helps support the nervous system. Its sedative qualities may also help with menstrual cramps (for myself, I find Valerian too strong for this) as well as hot flashes and menopausal symptoms. Valerian Root is sometimes used to help with feelings of sadness, especially if it is associated with anxiousness. It may calm and soothe emotions. I grow my own Valerian, but sometimes I do need to purchase it! HERE is where I buy organic, high quality, sustainable Valerian Root. Valerian is generally considered a safe herb for most people to use, even for children in small amounts and for shorter periods of time. People react differently, though, to different things, so here are a few safety factors about which to be aware: Valerian may cause stomach upset in some people. Also, for people with ADHD, Valerian may have the opposite effect, rather like coffee. Valerian is thought to slow down the nervous system in most people, so if you are planning a surgery that requires anesthesia, you should definitely let your doctor know you are taking it. It is likely he will have you stop a couple weeks prior. If you are taking any sort of anti-depressant or drug for anxiety (such as Xanax) you should discuss this with your doctor before taking Valerian Root. Speaking from my own experience: Valerian actually makes me go right to sleep and stay asleep. And when I wake up, I feel terrific! Well, if you are a beer drinker, then you are quite familiar with Hops! It's the herb contained in most beers that gives it its nice bitter "hoppy" taste. But did you know that Hops also has medicinal qualities? It's not only a diuretic, but also soporific and nervine too. This means that it's great to help you sleep! Although this post is all about how to make a great bedtime tincture blend, you can make infusions from Hops (and other herbs) for a nice bedtime tea too. Hops are generally considered safe, however, if you are pregnant or breastfeeding, you should stay away from them. Hops has been known to cause mild stomach upset and possible diarrhea. You'd probably have to ingest quite a lot, but care should still be taken. I purchase my organic Hops HERE. Oh...Lavender!! Everyone just loves Lavender! And for good reason too! First, it has a beautiful and distinctive scent---a favorite of many. It's a mild relaxant, and may help with feelings of sadness, self-doubt and fear. It's also great for nausea, especially that caused by motion sickness (I know this from personal experience---just dab some Lavender Essential Oil behind your ears.). Finally, and for its main purpose in this tincture blend, it can help with difficulty sleeping. The other reason it's such a nice addition to this blend is that the taste helps offset the bitter and (stinky?) tastes of the Valerian and Hops. Want some absolutely amazing Lavender? You can buy organic Lavender flowers in different grades HERE. 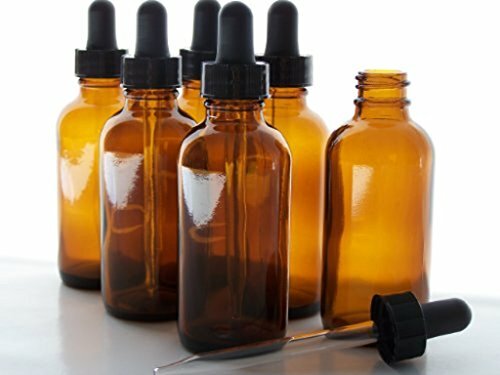 Regardless of whether you decide to bottle your tinctures in a 1 oz, 2 oz, or 4 oz bottle with a dropper, the dropper amounts of dropper bottles are fairly standard, I have found. Start with a small amount---one full dropper full, and increase as needed to up to 3 full droppers full at a time. Three FULL droppers is about 1/2 teaspoon of tincture, so you can see you are not using very much alcohol. Take a dropper full about an hour before bedtime to relax, then take the rest right before bed. You can also take a little more in the middle of the night if needed, but I wouldn't take too much within a couple of hours of having to wake up. For myself, I take it right before bed, and it works quickly. Let the tincture sit under your tongue for a few seconds, as the liquid will actually begin to be absorbed quickly through the lining of your mouth. A note about the taste: Some people just cannot stand the taste. Therefore, it is perfectly fine to dilute it in a bit of tea or other liquid. I just take it straight. Day one---All mixed up! Ready to process for 4 to 8 weeks or so on a warm, sunny window. Shake daily or whenever you think of it! Covering the herbs with Vodka. You can use other solvents such as ACV (Apple Cider Vinegar) or Vegetable Glycerin, but 80 proof or higher alcohol has been shown to be the best way to make sure the plant constituents are drawn out. 1. Organic Valerian Root, cut and sifted, is best in my opinion. You can buy Valerian powder or powder it yourself, however, it is very difficult to strain out all the matter, and I have found it makes no difference in the strength or quality. I like cut and sifted best. 4. 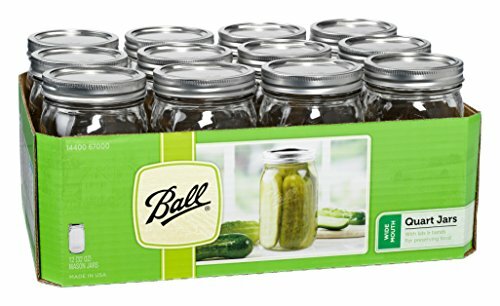 Mason jar----if this is your first time trying this out, you may want to start with a pint or quart size jar. The jar in the picture is a half-gallon jar. The link is for a quart size Mason Jar case. 5. 80 proof or stronger alcohol as the solvent. I use Vodka, organic when possible! You can also use Whiskey, Brandy, Rum, etc. 6. Time, Sun, and Positive Energy. OK---I know that sounds a little Woo-Woo, but honestly, there may be some proof that your energetics affect liquids, among other things--like people. Although I'm not sure if all this is true, it sure doesn't hurt, right? :-) Check out this information about Dr. Masaru Emoto. How to Make Your Sleep Tincture for a Great Night's Sleep! NOTE: I use the traditional herbalists' system of "parts." This means that once you decide what one "part" is, you then base all the measurements on this amount. For example, you can decide to use a scoop as a "part," or a traditional measuring cup, such as 1/8 c as one part. It all depends on the size of your container, really. 1. Take 2 parts Valerian Root and place in the jar. 2. Use 1 part each Hops and Lavender flowers, and place in the jar. **At this point the jar should be about halfway full. This is a 1:2 ratio of herb to solvent (vodka or other alcohol). 3. Pour in your alcohol to within an inch of the top. Put the lid on! 4. Shake it really well. 5. Store it for a few weeks: This part is another gray area for herbalists. Some believe you should put your processing tincture in a dark cupboard. I, like some others, prefer the solar infusion method. This means letting it infuse in the sun. The reasons I like this method best is that a) I can see my tinctures daily, and therefore, b) I don't forget to give them a good little shake, and c) I think the sun adds some great energy to the tincture, and finally d) the warmth helps the herbs break down faster. So, I place mine in a sunny window where the herbs get the heat and the sunlight. In many years, I've never had a problem with this method! Shake once a day or even every couple of days is fine. 6. Let infuse for at least 4 weeks to 6 weeks. You can let your tinctures infuse for longer than that if you want. I once forgot one, and it infused for over a year! It turned out just fine! 7. When your tincture is ready, strain out the herbs. To do this, I use a strainer and a pyrex measuring pitcher with a little pour lip. 8. Now bottle it up into either/or dropper bottles or an amber glass storage bottle! 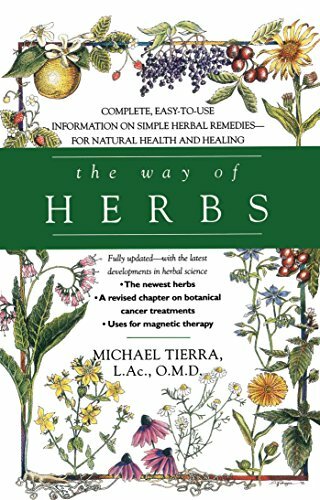 Once you begin working with plants and herbs to create your own medicinals, you will never want to return to taking over the counter drugs again. Even taking prescriptions may become a challenge. For Mr. V. and me, we haven't taken OTC or Rx medications in years because we actually feel better, are healthier, and have greater control over what we are putting in our bodies when we make our own. Plus, we have little to no side effects this way. Nice! Have you ever made any of your own home remedies? What are your thoughts about tinctures? Leave comments, questions, and suggestions in the comments section! I love hearing from you! Disclaimer: The information in this article, elsewhere on my blog, in publications, in my shop sites, in conversations, and on labels is for informational purposes only and not meant to cure, treat, diagnose, or prevent any medical condition. I am not a doctor, and I only share my personal opinions based on study and experience. Please see a medical professional for concerns. I simply provide my own personal advice based on experience and study for ways to live a healthy and natural way of life. These statements have not been evaluated by the FDA. This post has been published on the Homestead Bloggers Network! If you want to know anything about everything homesteading, that is the place to visit. You'll find a network of over 300 homesteaders with so much information! Check it out!